A bigger boy at school decides to begin bullying Jamal. He starts by humiliating him in front of his followers and friends. Now, every day before school, he makes Jamal give him his lunch money. The B.R.I.T.E. 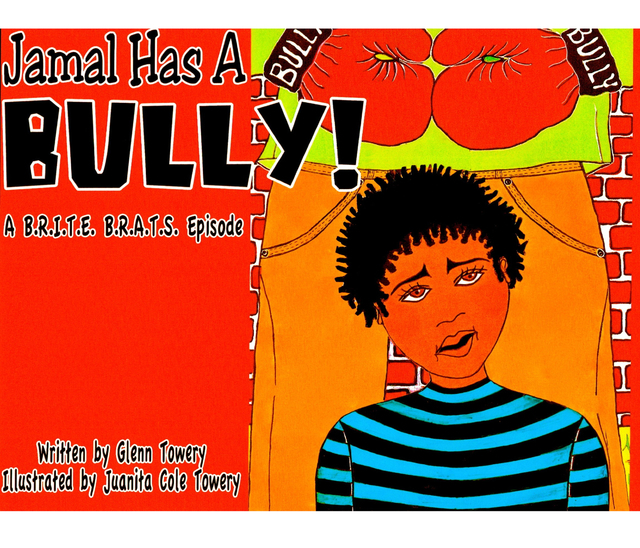 B.R.A.T.S., Jamal's best friends, try to help Jamal stop the bully by giving him some good advice, but Jamal is very afraid and cannot get up the nerve to do the things that might make the bully stop beating him up. Kako, Mitch and Maria can see that Jamal is confused and depressed because of the bully. Can they help their friend, Jamal, stop the bully's constant torture? If so, what do they have to do to stop the bully? This is a classic story designed to help children combat bullying by suggesting what they should do, immediately, if they become a victim. Bullying has become an epidemic in American society and it needs to stop. We are losing our children to tragic endings because they feel helpless and hopeless! "Jamal Has A Bully!" is a book for the bullied and bully, alike.